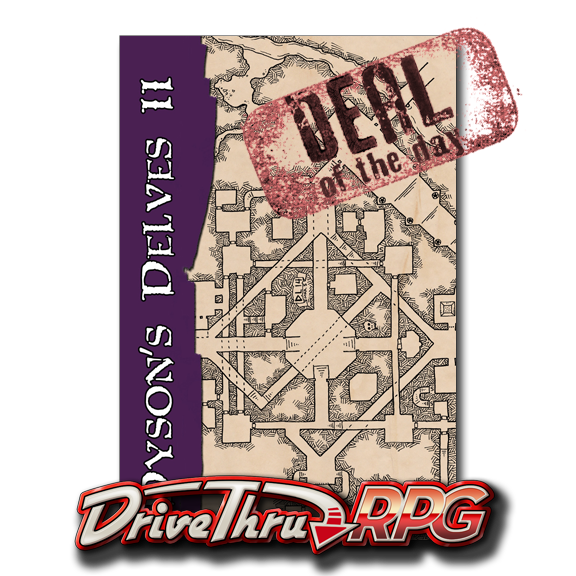 Thanks to a head's-up from the man himself I found out that Dyson's Delves II is the Deal of the Day over at DriveThruRPG. Let's see......7 adventures (well 11, but 4 are lumped together) with Dyson's maps and another 44 dungeon maps thrown in to boot, all for $4 (60% off). I think that's a pretty good deal. 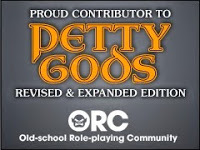 I've been working on a few things for Origins and one of them is some GM "stuff" I can pull out on the fly, or with minimal prep at least to run pick up games. A series of OSR generic adventures of varying levels and a bunch of blank maps really fits the bill here. I highly recommend picking up Dyson's Delves II, I know I am. This sales ends on 4/24/15 at 9:00 AM MST.